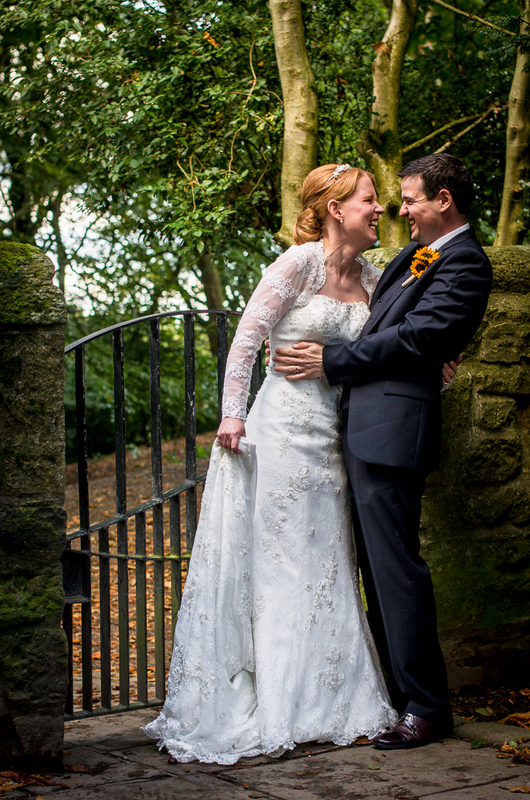 This is a lovely moment from Kirsten & Stephen’s recent Lancaster wedding, made all the more poignant for the couple themselves, because of the choice of location. In talking to the couple beforehand, it came out that they had met for the first time at this particular spot in Williamson’s Park in Lancaster. So although the ceremony was down the road in St. Peter’s Cathedral, and the reception was being held at Forrest Hills, we planned time into the schedule to do the couple shoot section of the day up at the park, whilst guests were en route to the reception. This not only made it more meaningful for Kirsten and Stephen, but it also allowed them some space away from their family and friends to have a moment and take it all in. My style at these times is not to pose couples, but simply to place them in the right location and let them be themselves.